From waka to sailing ships, coastal steamers and trading scows, Golden Bay was settled and supplied by sea and the ports of Collingwood and Waitapu were the entry points. Smaller motor launches, yachts and fishing vessels also used the waterways, and it was not until the 1900's that road travel became viable and settlers between the ports began looking to Takaka for their services. The hills behind Parapara and Onekaka were rich in minerals. Gold, silver, limestone and iron were important to the economy and it was for those industries that the wharfs, roads and bridges were built. Between the wars the Onekaka iron works was one of the two biggest employers in Golden Bay, while at Tukurua and Puramahoi farming and timber milling provided work for the settlers. 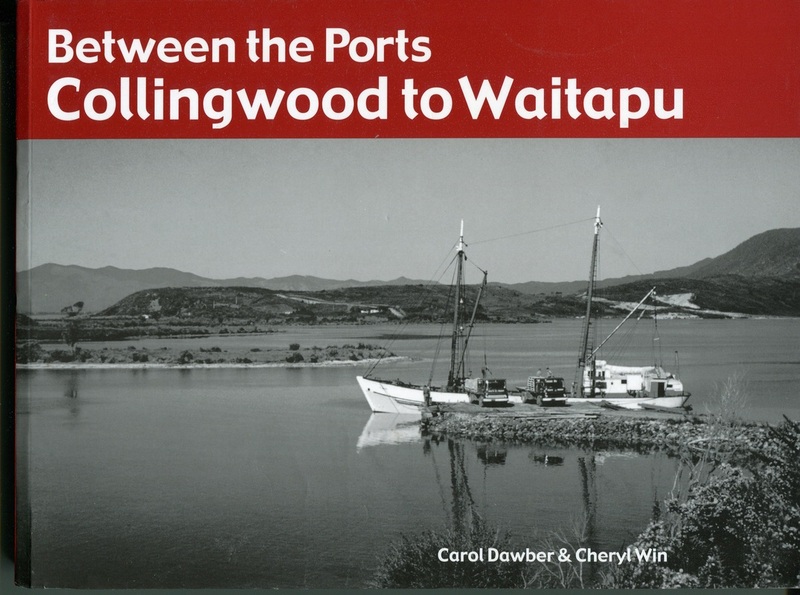 This is a book of memories, not only for the families who lived between the ports but for everyone who grew up in rural New Zealand.